Khao Sok National Park encapsulates much of what makes Southern Thailand’s landscape so special: ancient jungle filled with wildlife, water that appears to glow bright emerald and vertical limestone cliffs towering above it all. Convenient for a stop between the Gulf and Andaman coasts, Khao Sok is one of the kingdom’s premier natural wonders. According to the park itself, the name Khao Sok derives from a related term meaning “House of Dead Bodies”. It could reference the sandy soil that gives out quick in a rain, or the steep and forbidding topography, or perhaps the tigers, snakes and spiders that ended lives often, and in a hurry, not a hundred years ago. Plants grow violently and critters seem to spring from the ground. Wet, cool, tropical, ancient—this is Khao Sok. Studded with mountains that reach to 961 metres, the park itself covers only 739 square km but is part of a roughly 5,000 square km forest complex that includes neighbouring Khlong Saeng Wildlife Sanctuary, Khlong Phanom National Park, Sri Phang Nga Wildlife Sanctuary and the extremely remote Khlong Yan Wildlife Sanctuary along with two more protected areas further north. Having regenerated itself for 160 million years, the biodiversity is remarkable. The centrepiece is 165-square-km Chiew Lan Lake, affording some of the finest water-and-karst scenery this side of Ha Long Bay. Officially known as Ratchaphrapa Reservoir and also called Khao Sok Lake, it’s one of the more stunning lakes in Southeast Asia and the only one we think is worth going out of your way for in Thailand. Awaken to the staggering, angelic scenery at any of 17 rafthouse lodgings, some run by the national park and others owned by families who possess native land rights. They all come with kayaks. Khao Sok was one of the early Thai national parks, founded in 1980 when the region looked dramatically different than it does today. There was no Chiew Lan Lake, which is actually a reservoir formed when the Ratchaphrapa Dam blocked the Saeng (or Yah) River’s flow in the early 1980s. Now the largest of six waterways that give the lake a hexapod look on a map, the Saeng flowed as the widest river in Thailand only four decades ago. In the 1970s, Communist fighters found its steep and jagged valley suitable for hideouts. The park’s floral claim to fame is Rafflesia kerri, or bua phut, a lava-red flower boasting earth’s largest bloom with a diameter of 75 to 100 cm. These endangered “dinosaur flowers” blossom in all their rot-scented glory between December and February, the most popular time to visit the park. Easier to find are the ancient bamboo trees that seem to whisper to each other in a gust. The park is rich in reptiles, such as the cute winged Draco lizard and majestic king cobra. You might glimpse a great hornbill or red-bearded bee-eater among some 300 species of birds. Khao Sok contains wild elephant, clouded leopard, Asian black bear, Malayan tapir and other large endangered mammals, but they’re more elusive than in two other premier Thai national parks: Kaeng Krachan and Khao Yai. If you’re serious about wildlife spotting, find a good guide (Khao Sok has many) and do a multi-day boat trip and trek up into Khlong Saeng Wildlife Sanctuary. All visitors see macaques closer to headquarters, and we heard gibbons whooping it up at dawn. Independent travel is limited in Khao Sok due to a requirement that a local guide accompany travellers on most trails. Package tours are popular, but you can always take an independent approach and hire assistance only when needed. Either way, expect to part with some cash and cover some ground. Published in 2001, the guidebook Waterfalls and Gibbon Calls by author and conservationist Thom Henley is still worth a look as you prepare for Khao Sok. The 160-page book includes maps, tips on exploring the park and extensive info on local ecosystems and wildlife. Most foreign visitors breeze through Khao Sok on a two-night stop while travelling between Southern Thailand’s two coasts. We’ve worked it into a pair of itineraries: Four weeks in Southern Thailand and Three weeks on Thailand’s northern Andaman coast. Author and conservationist Greg McCann has honed in on the Khao Sok - Khlong Saeng jungle as part of Habitat ID’s mission to “discover areas where abandoned wildlife still hangs on, to attract the commitment of governments and conservation organisations, and to ensure that wildlife receives adequate protection, before it disappears forever.” For more info along with deep-jungle wildlife photos, check out habitatid.org and the Facebook page. Think of Khao Sok as having two main waypoints at opposite ends of the park: headquarters and the main traveller hub in Khlong Sok village to the west, and Ratchaprapha Pier on Chiew Lan Lake in the east. These key spots are 65 km apart, making Khao Sok a two-in-one destination. Running west to east south of park boundaries, Highway 401 connects the two sides and follows close to Khlong Sok (or the Sok River) through Khao Sok Valley. No roads are found within the boundaries of Khao Sok National Park itself, which can only be explored by boat or boot. The nearest large tourist destination is Khao Lak, 60 km to the southwest. Many visitors hit the park on a day trip from there, Phuket and others, but spending a night or two will make things a lot more comfortable. This village sprung up to serve backpackers as Khao Sok gained popularity in the 1990s. 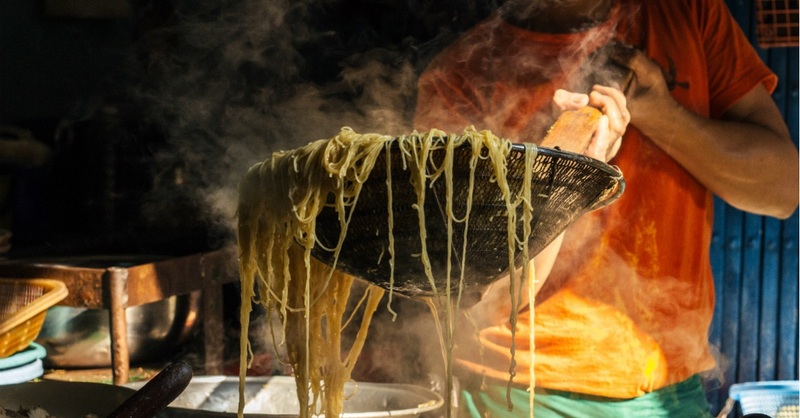 Filled with trekking outfits and bungalows, it feels like a scaled-down Pai in the South. From the bus stop it’s a two km walk up the access road, Moo 6, to headquarters. In between you’ll find bungalows, travel offices, ATMs, eateries and shops selling leech socks, mozzie coils and Beng Beng bars for that punch of energy on the trail. At the visitor centre you can arrange camping and hire a ranger as a trail guide, but in our experience, park staffers tell non Thai-speaking visitors to go find a guide in the village pretty quickly if complicated questions are floated. In fact, we saw that park staff, trekking guides and other locals may frown on visitors who do not hire a guide. To get the clearest picture of activities and prices before committing any cash, we suggest inquiring at the visitor centre and at least two trekking outfits and/or resorts offering tours, which are usually laid out in thick binders. There is no need to book tours online before arriving. In addition to the campground, park headquarters offers a couple of overpriced bungalows and a youth lodge used mainly for Thai field trips. The rundown, privately run Treetops River Huts has an entrance within park boundaries, taking the place of park-built cabins that you’d typically expect. Few stay there because better options stand close by in the village. At headquarters you’ll find two trails, but only the first portions of both are open to non-guided hikers. The more popular is the Bang Hau Rad trail, more of a dirt lane wedged into the valley than a proper trail (we did see a ranger motorbiking down it). It follows Khlong Sok past some minor swimming holes and rapids for a few km before bumping into a checkpoint. From there you’ll need a guide to go another four km to a gorge and Than Sawan Waterfall. If taking a longer trail, Ton Kloi Waterfall is the last stop, seven km west of headquarters. The less-used Sam Yang Roi trail begins beyond the park campground and leads to a long set of old concrete stairs high up in the old growth. After a tiring first half, the trail turns back and emerges behind the youth lodge at headquarters. Somewhere at the top of the hill is a continuation trail to Sip Et Chan Waterfall, whose name literally means “11 Tier Waterfall,” but you’ll need a guide to access it safely. Still, we found the non-guided portion of this trail more interesting than the Bang Hau Rad trail. We’ve not yet hit the waterfalls due to our late dry season visits—expect a gentle current from January through April and possibly into May. Based on what we’ve heard, all three of these waterfalls are lovely and refreshing, though not quite awe-inspiring like Ton Nga Chang down near Hat Yai and Krung Ching Waterfall in Khao Luang National Park. The trek out there is half the fun—you will see critters. One last “trail” worth mentioning is actually an eight-km dirt lane piercing deep into palm and rubber groves just south of park boundaries. Follow the lane to Our Jungle House and cut left towards Palmview Resort, beyond which you’re on shaded rolling terrain with mountains to one side and the Sok River close by on the other. We saw only one farmer on our jog. Eventually the lane emerges onto Highway 401, 10 km east of the village near some rafting outfits. This in-between area covers the route of Highway 401 and the Sok River between park headquarters and Ratchaprapha Pier. Most travellers blow through without stopping, but scenery off the main road is breathtaking and some of the resorts could be worth a night if you have a vehicle. On eastbound 401 you’ll spot the entrances to Khao Sok Elephant Sanctuary, several rafting outfits and Khlong Phanom National Park, known for its caves and quietly preserving 410 square km of jungle to the south of Khao Sok. Highway 401 is not a terribly busy road, but keep an eye out for wildlife. Snakes are everywhere in rainy season. At the lower-lying east end of the valley where Khlong Sok widens to become worthy of the name Sok River, Baan Ta Khun is a crossroads town with a decent market and little else save the turnoff for Chiew Lan Lake. At the east end of the park stands the dam that joined the ancient shelves of petrified coral (karst) to create one marvellous reservoir in the 1980s. Signs on Highway 401 point visitors 12 km north to a gated checkpoint, after which you’ll want to turn immediately right to hit the pier (going straight leads to a confusing web of roads west of the dam). Near the pier you can ride out on the dam and further up a headland to a chedi-crowned viewpoint that does the trick for picnics and sunsets. At Ratchaphrapa Pier you’ll find a boat hire situation that was more organised than on previous visits. There’s also a restaurant, shop and national park ticket booth, but not much else. If going into Khlong Saeng Wildlife Sanctuary, you’ll be ushered to the top of the hill to buy an additional ticket. Between Ratchaphrapa Pier and Baan Ta Khun you’ll find a handful of resorts but there is no public transport and these places mainly cater to domestic travellers. Expect scant tourism services in this area. Excluding the pier and dam, no place on the Chiew Lan coast is accessible by road. Only hiking trails pierce into the teeming watersheds, old-growth forest and immense karsts. The best-known attraction is “Little Guilin,” a trio of limestone outcrops that we think are overhyped given the vast breadth of scenery on the lake. It’s centrally located and a staple stop for lake tours, especially in the morning. At Ratchaphrapa Pier, all posted boat trips start with a cruise through Little Guilin. Each fed by a namesake khlong (canal or river), Chiew Lan’s six primary bays resemble long witch fingers on a map. They each host at least one rafthouse. No jetskis or private craft of any sort are allowed on the lake, nautically the exclusive domain of the national park and locals licensed to operate. Close to the centre or Chiew Lan stands the most popular park-run rafthouse, Nang Prai, where Khlong Long reaches north towards Phutawan and other privately run rafthouse resorts—and the trail to Pakarang (Coral) Cave. Close to Nang Prai you can pick up the Khlong Mui trail for a viewpoint climb. Cutting south across the lake’s belly stretches Khlong Kha, hosting one national park rafthouse near Tham Praguypet, which we’ve heard is one of the most impressive of the six large caves found around the lake. Both Khlong Kha and Khlong Pey, another south-reaching bay set further west, are worthy spots for kayaking and bird watching as well. Hosting park-run Ton Toey Rafthouse, Khlong Pey can also be reached via a 6.5-km trail that begins at a ranger station off Highway 401, around 15 km east of headquarters. If you have a guide, this is an interesting alternate route to the lake and onwards to a few sights. The best known is Tham Nam Thalu, a wide-mouthed cave in which six tourists and two guides lost their lives during a flash flood in 2007. Dry season only. Also in this vicinity and facing the widest part of the lake, Smiley Rafthouse is popular with backpackers. To the west, Khlong Yee’s lengthy finger reaches a remote area with only one rafthouse, Krai Son. Even more remote and comprising Chiew Lan’s seemingly endless northwestern tail, Khlong Saeng is the largest bay and a good bet for wildlife spotting, if you can swing the expense. Way up there, one sanctuary-run rafthouse accommodates a trickle of fly fishers and naturalists. When embarking on the many trails around the lake, all hikers are required to be accompanied by a park ranger or local guide. Weather wise, you’re looking at a trade off. Go in dry season and the waterfalls won’t be so active, go in the middle of the monsoon and some of the trails will be closed for safety reasons. Khao Sok sees significant rainfall in the height of Thailand’s monsoon season, especially in July, August and September. Quite a few restaurants and some tour outfits close at this time. Expect to bond with your leech socks in wet season; like the snakes, they’re everywhere. In dry season from December through April you’ll find trekking easier, and, although many species of wildlife will be less active, this is the only time to find Rafflesia flowers in bloom. On the downside, some rafting trips may not be offered if the water in the river is too low. Leeches burned aside, there is nothing like seeing the rainforest fully nourished by the monsoon. Foreign adults are charged 300 baht for entry to Khao Sok National Park, and additionally 200 baht if visiting Khlong Phanom National Park or Khlong Saeng Wildlife Sanctuary. Children are half price. Tickets are supposed to be valid for 24 hours, but we found this honoured only if stamped “Night Safari” on the back. A rude ticket seller at headquarters made us pay twice in 24 hours and implied we were lying about having bought a ticket the previous day close to 16:00 at Chiew Lan Lake—we have the sunset photos to prove it! Again, don’t expect much from national park staff. The gate to headquarters and the visitor centre opens daily from 08:00-18:00, year round, but the ticket booth at Ratchaphrapa Pier closes at 16:00. Most resorts near park headquarters offer free WiFi but it tends to be limited to common areas. Don’t expect to have WiFi at the rafthouses. Cell service works at Khlong Sok village and park headquarters but not on the trails in that area. Once in the jungle, by and large, it will not work. On Chiew Lan Lake it worked well at Nang Prai Rafthouse, and we were told it works at all park-run rafthouses except Khlong Saeng. Beware of scams; we wouldn’t expect them in Khao Sok but on our last visit we’re pretty sure we saw a traveller scammed for 5,000 baht on a motorbike rental, and the shifty shopkeepers were not the only locals we saw or heard acting offensively towards travellers for no apparent reason. But we also met kind locals and we’re confident that the people we talked to at all of our accommodation and trekking picks will treat you right. Park headquarters should possess basic medical know-how and there is a small clinic on Highway 401 east of Baan Khlong Sok. Anything serious will require a trip to hospital in Takua Pa, Baan Ta Khun or Surat Thani. Baan Khlong Sok’s district police station stands across the highway from the bus stop.  Please sign up as a Travelfish member to download the Khao Sok National Park guide PDF (14.1 MB, 49 pages). Membership costs just A$35 per year (less than A$1 per week) and gives you access to over 250 PDF guides. 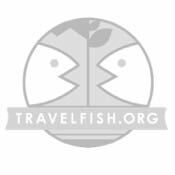 Use the above map to find specific destinations in and around Khao Sok National Park which are listed on Travelfish. Bed icons indicate a guesthouse, hostel or hotel, the knife and fork is an eatery or bar and the four-way circular thingy marks sights, attractions and other points of interest. Click on any icon for a short pop-up and a direct link to the page for that spot. If you are in the area, use the teardrop icon near the top left to show your position on the map (you'll need to allow position sharing for this last feature to work).